Transparency is one of the constants regularly mentioned when discussing The Co-op Advantage®️. This week’s annual meeting with regional co-sponsor PYCO Industries, Inc., is no exception as grower-owners learned 2017-18 fiscal year’s cash dividends and total disbursements. With a total of 54 gins, PYCO is the largest cottonseed cooperative in the United States. For more than 80 years, PYCO has been turning out high-quality products and maintaining valuable relationships with each of its many co-op gin members. 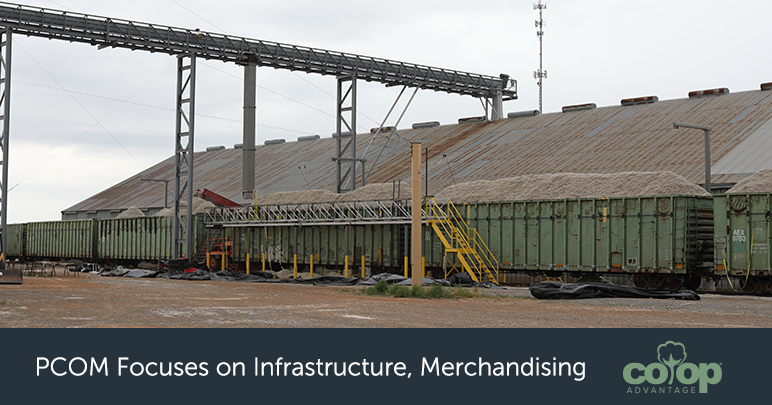 In addition to producing cottonseed oil for cooking, PYCO also markets whole cottonseed and the by-products of cottonseed processing. PYCO this week announced 2017-18 cash dividends in the amount of more than $11.5 million or $15.82 per ton to their grower-owners, as well as declaring an equity distribution from the base-capital plan of more than $6.7 million scheduled to be paid in January, 2019. 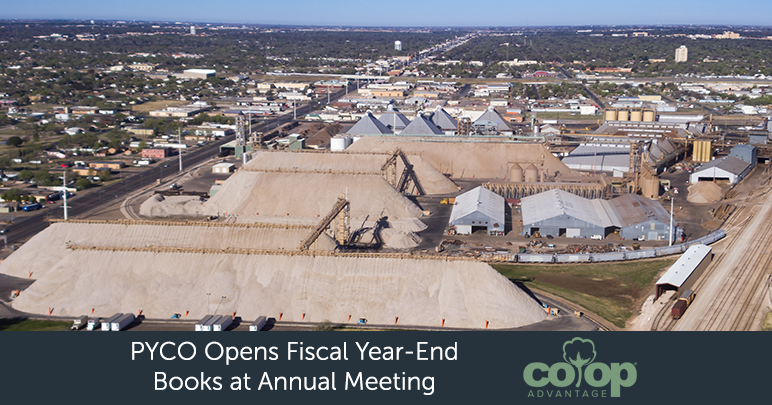 PYCO President and CEO Robert Lacy announced total disbursements for grower-owners equaling $18,468,829 – or $25.05 per ton. Last year, PYCO received 732,000 tons of cottonseed, allowing PYCO to carry over enough to have a strong start on this year’s crop, Lacy explained. Those variables generally involve Mother Nature, and last year was a tough year, as anyone along the supply chain will agree. But, Lacy encouraged, being part of a co-op is one definitive that can ease the unknowns from year to year.